We are now firmly in the holiday season—or, as I like to call it, “food-pocalypse,” because it is the suspension of all rationale. Specifically, each Halloween to New Year’s Eve is the time of year that I, like most, give up trying to be virtuous and succumb to the lure of holiday parties, happy hours and seemingly endless buffets prepared by relatives. And then, on New Year’s Day, I will predictably take ridiculously drastic measures to whip my appetite back into submission, with little to no guarantee of success. 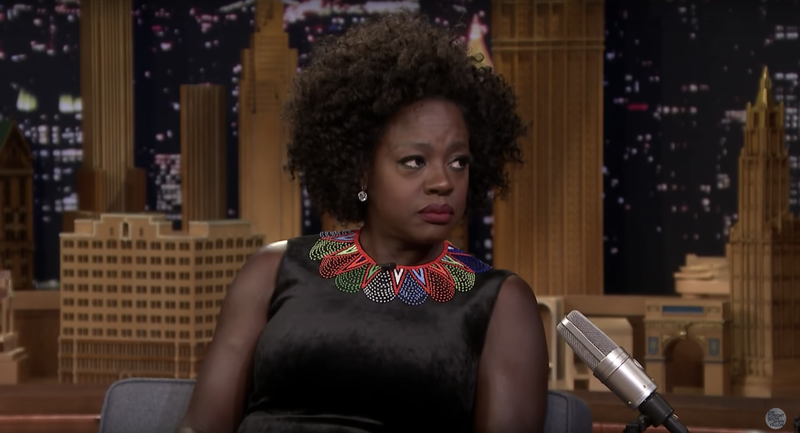 So, of course, when Viola Davis appeared on The Tonight Show Starring Jimmy Fallon on Wednesday to promote her new film, Widows, disclosing that she’d failed a cleanse after only two days, I deeply empathized. Davis’ makeup artist, Ma Kalaadevi Ananda, challenged the cast to a cleanse where they were only allowed to sip their food for 28 days, which apparently was meant to purge them of aggression and anger (and likely, toxins, in general). But admittedly, just hearing about it made me angry—and hungry. Apparently, Davis felt the same, since at the first sign of conflict, she decided, “I don’t have time for this. I need my anger.” She then promptly indulged in hamburgers and vodka. As do I, Viola. As do I. That said, I have personally found some greater good in a cleanse, and despite disputes over their health benefits, I can’t rule them out as an effective way to press the “Reset” button, physically and emotionally. I have no idea what Davis’ makeup artist was recommending, but her tale prompted me to investigate a few New Year’s cleanses to consider at the top of 2019, so stay tuned for those suggestions this holiday season. “It’s about women getting the job done. It’s about taking ownership of our lives,” she said.